The fluorescent lights, the crowds and the overhead music. A trip to the supermarket is no walk in the park. Savvy shoppers, however, can make the endeavor more enjoyable – and more efficient – with a few tricks. The same goes for the families we serve at Trumpet Behavioral Health. Just read our shopping tips for children with autism to learn how. It is 5pm, and you realize you’re missing one key ingredient for dinner. Every parent knows the internal dilemma that follows. Is it worth quickly loading up, fighting traffic, finding parking and braving the grocery store for one item? It’s okay if your answer is no. One of our shopping tips for children with autism is to give them – and yourself – the gift of time. Children with autism may function better with preparation. 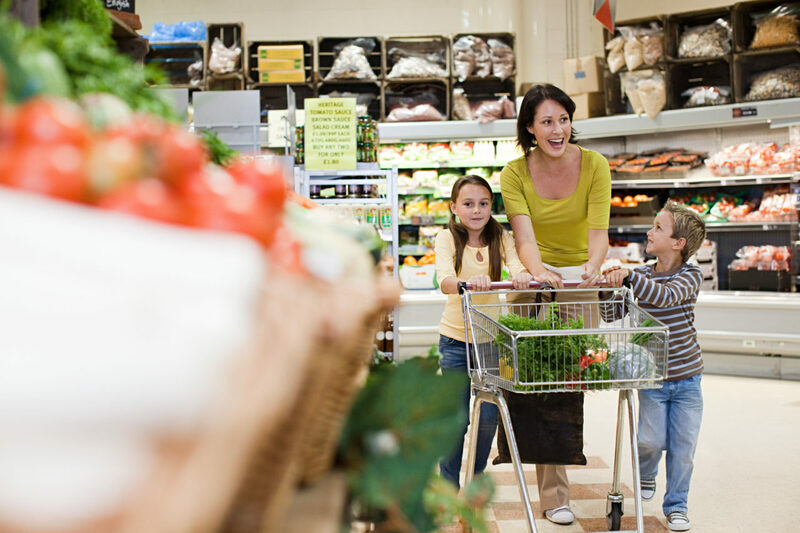 Letting them know in the morning that an afternoon grocery trip is on the schedule can reduce stress. Many parents find it helpful to show their child visuals of the market before visiting it. Try walking the aisles together without buying anything at first, gradually increasing your duration and productivity over time. Help your child achieve success during the outing by allowing them to carry their favorite item or activity inside. Also on our list of shopping tips for children with autism, give your child age-appropriate ways to help. The sense of completing a task and serving the family can build your child’s confidence. Ask them to help search for certain foods, find an expiration date or bag groceries. And of course, provide lots of reinforcement for taking on responsibility and making the task more fun. Each child’s abilities and stressors are unique to them. Your Board Certified Behavior Analyst® (BCBA®) can help you create a shopping plan that works for your child and the rest of your family. It will make a trip to the grocery store feel like a walk in the park. Contact us to schedule an appointment and learn more ways to overcome challenging behaviors.